For conspicuous gallantry and intrepidity above and beyond the call of duty in action with the enemy on 3 February 1942, near Bagac, Province of Bataan, Philippine Islands. When the rifle platoon of another company was ordered to wipe out 2 strong enemy machinegun nests, 1st Lt. Bianchi voluntarily and of his own initiative, advanced with the platoon leading part of the men. When wounded early in the action by 2 bullets through the left hand, he did not stop for first aid but discarded his rifle and began firing a pistol. He located a machinegun nest and personally silenced it with grenades. When wounded the second time by 2 machinegun bullets through the chest muscles, 1st Lt. Bianchi climbed to the top of an American tank, manned its antiaircraft machinegun, and fired into strongly held enemy position until knocked completely off the tank by a third severe wound. Two months after this battle, Willibald and about 60-80,000 American and Filipinos were captured by the Japanese and marched from Saysain Point to Camp O'Donnell as part as what is now known as the Bataan Death March. As a prisoner of war, Willibald was known for his compassion his efforts for better conditions for his fellow prisoners in the areas of extra food and medicine. He was moved to an unmarked Japanese prison ship and on the 9th of January, 1945, an American plane dropped a 1,000 pound bomb on the ship, not knowing it contained American prisoners. 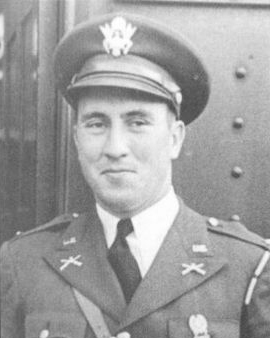 Willibald Charles Bianchi died instantly and is one of three Philippine Scouts to have received the Medal of Honor. He was one of only a few bodies to have been identified among the 400 men who died on that ship. While the rest are buried in graves marked Unknown, Willibald is buried in the National Memorial Cemetery of the Pacific in Honolulu, Hawaii; Section MA, Grave 39.